Ideally located to serve people in Boston, we are a family run company that takes a real pride in offering a personal service, no matter how small or large the job in hand may be. With husband and wife behind the driving force of the business, we also employ James who is a time served, fully qualified electrician. 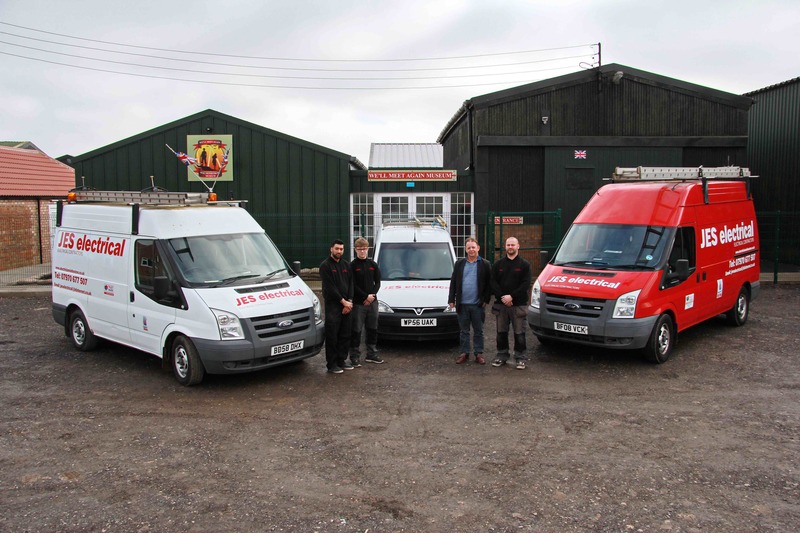 Julian has over 40 years of accomplished experience within the industry, dealing with a wide range of electrical and mechanical engineering issues. We are Scope Members of the NAPIT (The National Association of Processional Inspectors & Testers). All of the work we carry out is fully guaranteed under a written contract, and is then notified to NAPIT, which is fully covered by a Work Quality Guarantee. In the event that your tradesmen are no longer in business, NAPIT will provide a warranty, making sure that your installation will comply with the appropriate industry standards for six-years from the date of completion. The Department of Communities and Local Government (formerly the ODPM) TRUSTMARK MEMBERS NAPIT Members carrying out domestic work in the UK can also be part of the Government Trustmark Scheme. This gives you the reassurance that the work will be carried to a professional & high standard. Trustmark indicates that a business is covered by insurance combined with first class health and safety practices - and of course proper dealings with customers. NAPIT carries out regular checks on the quality of work, trading practices and customer satisfaction. This is not mandatory to every NAPIT member, however, it is encouraged as an additional benefit to both members and the public, to re-enforce good smooth practices. We are also members of the FSB (Federation of Small Business) for your complete peace of mind. For any more information on what we can provide for you, get in touch with the professionals today on 01205 351117 or 079706775007.